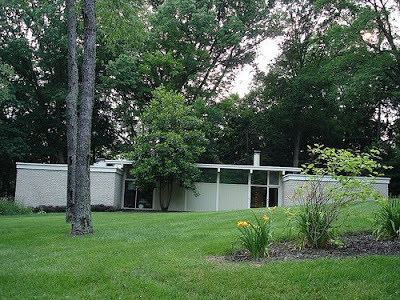 A photographic tour of Mid-Century Modern Indianapolis. Atomic Indy has gained national readership. Reoccurring question echoes. 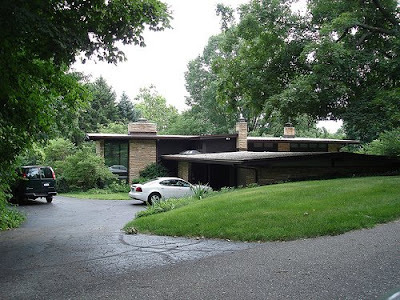 "Indianapolis has Mid-century Modern homes?" Question inevitably asked with a tone of disbelief or shock. Reply is simple. "Yes. Beautiful ones." This post tributes Indy's MCMs. The ones lurking outside the boundaries of my neighborhood. Let's take a ride. Prior to tour starting must pause. Quick moment to thank fellow appreciator of Indy's MCM treasures. Cheers to Paul - known on Lotta Living Forums as, MCMLII. Many of the images were provided by him. His work can be seen on Flickr. First stop. 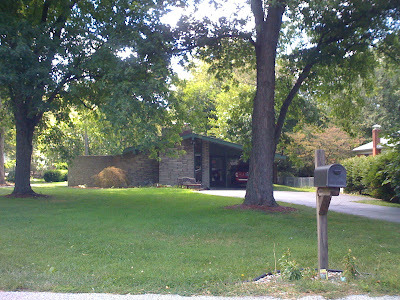 Paul's house. 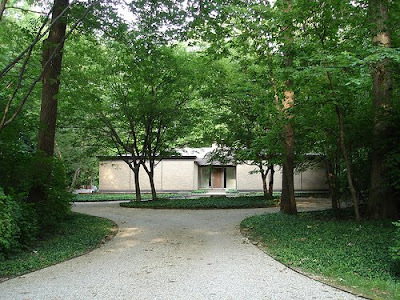 Resides in Noblesville. Williams Creek area. Close acquaintance lives here. Former Herman Miller showroom designer. Greenwood. Home is occupied by law office. Unfortunately falling into disrepair. 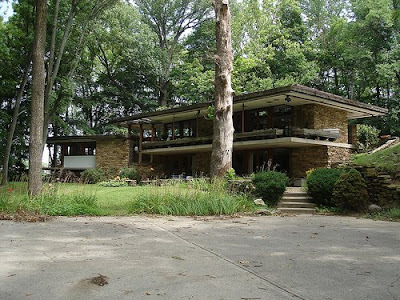 Avriel Shull designed home. Interior is fantastic. Owner occasionally spotted in online communities. If you're out there let me know. Friend lives here. Passionate MCM renovator. Corridor full of MCMs exists between College and Binford east/west, and 64th and 46th north south. Majority of images below were taken in said corridor. Red house over yonder. Almost bought this. Shady lease arrangement with current tenant led us to move on. Hope this one survives. This is only a sampling. Many remain un-photographed. If you know any point me their way. 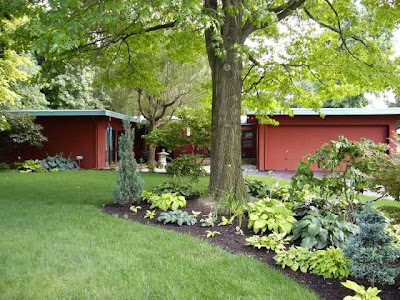 If you're looking for a Mid-Century Modern home for sale in Indianapolis call Joe Shoemaker. He gets it. Currently several available. Three affordable ones are detailed here. 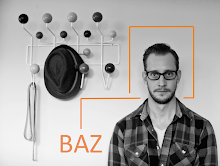 Looks great Baz. After the holidays we all need to go on a "tour". Awesome blog! Really excited that I found it! 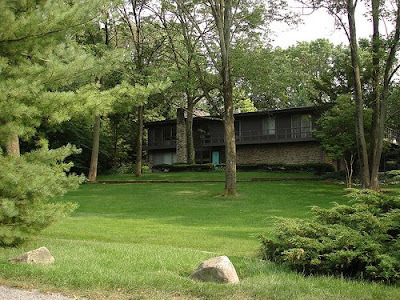 Wife and I are looking for a new place with some actual architecture as oppossed to the blandness that is the beige boxes. Your experience has been an inspiration! Thanks! I'm happy to have found your blog through RetroRenovation.com. 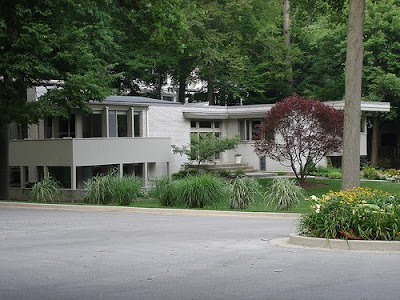 I live in Bloomington, Indiana, and love to see MCM homes in our region. Bloomington has some goodies too! We looked at the house on Ewing when it was for sale and it was pretty awesome (out of our price range!!)! Of course it was on the market long! Great find on Ebay. Check out: http://www.lushpad.com/blog/ it's basically an MCM furniture classifieds. Good luck on your hunt. What part of the country are you searching in? Patience is the best advice I can offer. I don't get down there often got any pics you can share? Ewing is a great looking house. Did you go inside? I've not had that pleasure. Glad I find this site through Urbanophile's guidance. I currently live in the Boston area, a metro that peaked LONG before this architectural period established prominence. 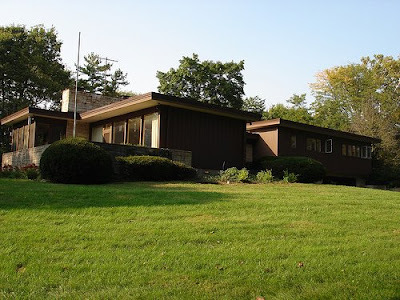 I can hardly ever think of seeing this style of housing in Boston metro, and as it experiences an inevitable resurgence in popularity and curiosity, cities such as Indy (which has quite a bit of it) can only stand to benefit. My husband and I live in the Avriel Shull place (7th on the list). I think he may have contacted you. Get it touch if you'd like more info! I love living in my Avriel home. I've lived in the Thornhurst addition for 19 wonderful years. Although my house looks like a swiss chalet and I prefer the more contemporary designs. 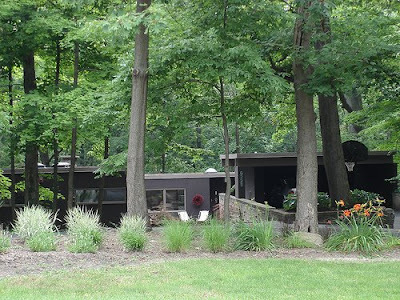 The floorplan and blend of nature is priceless. Great page ty for sharing!